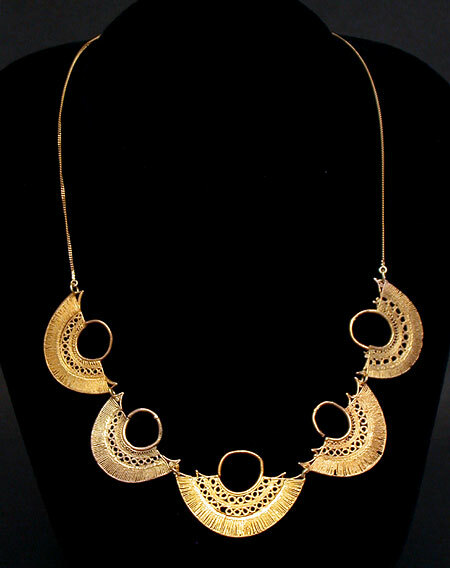 This necklace, composed of five gold Sinú ear ornaments, each with two stylized bird effigies, was hand-crafted into a modern wearable work of art with 18k gold links, chain, and clasp by art jeweler Sam Joseph of Laguna Beach. 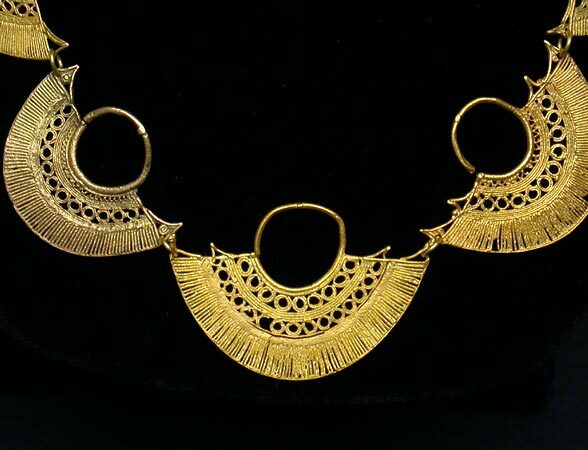 The ancient gold is from a private Southern California collection. Dimensions: Length: approx. 18 in. (45.7 cm. 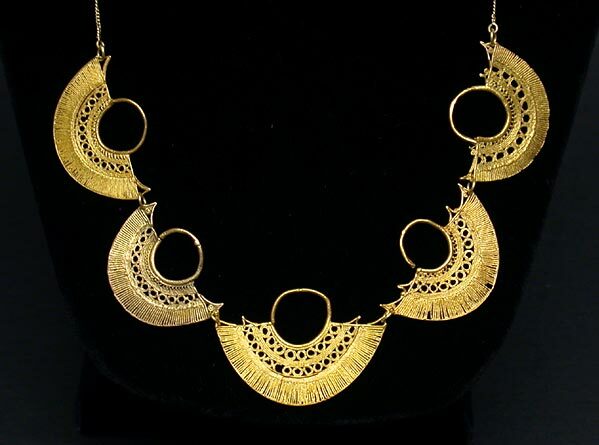 ); Greatest width of individual gold filigree medallions: 1.5 in. (3.8 cm. ).